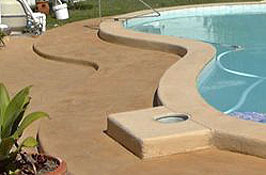 Jan from Maryborough VIC saw his neighbours pool restored with EPOTEC and it was very simple decision to do it too. Bondi - Mid Blue colour was used. Now the pool looks like new. Great DIY job by Dave from Baulkham Hill NSW in spring of 2016. Spectacular result on a limited budget. Marblesheen pool had lots of issues as they all have. Stephen from Toowoomba QLD had to use covers to protect new coating from falling leaves and dust, the result is good smooth finish. Faced with a hot summer and no pool, Hitchins leapt to action and guided the Boystown staff and dog into the art of DIY to get the job done pronto. The result is a beautiful Mid Blue finish in their 25 M pool. Even the dog was relaxed about the outcome! sets off the dark stained timber surrounds beautifully. 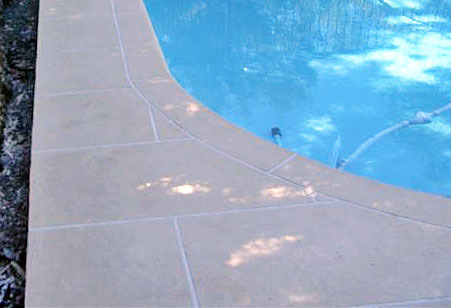 A timber decking is a great way to finish your pool surrounds when doing a renovation. 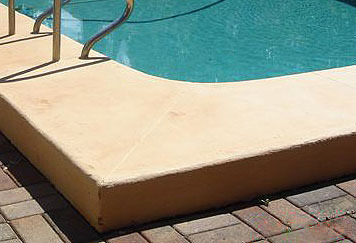 It economically creates a new edge and allows for dealing with uneven surfaces, yet looks great. You can use Epotec in Dark Blue as this goes well with any surrounds with a reddish hue to them. The Paradise Gym in Dubbo has completed an extension with 2 new indoor pools. A 25 Metre general pool and an 8 Metre therapy / child’s pool. Both look great in Epotec applied by Perfect Seal Australia, the local Epotec Applicator. The Epotec will handle the commercial needs of the pools with ease, providing an easy clean, decorative and long lasting finish in Bondi (Mid Blue). 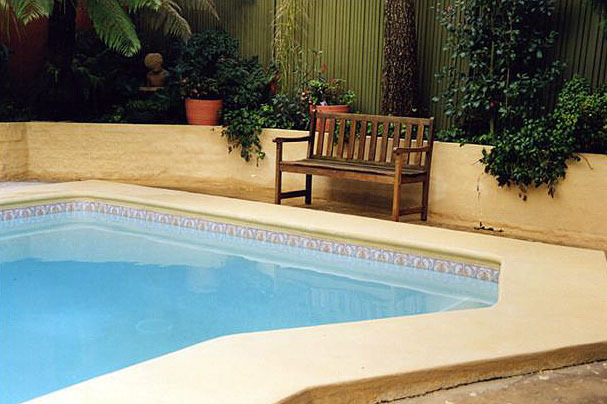 Here\'s what new home owners discovered in their backyard & now they transformed it from a fiberglass mess to a delightful pool. When you really don\'t want to go near your pool, a good clean and plus surface preparation by the owner followed by 2 coats of Epotec in mid blue, makes an amazing change. From a green frog pond to inviting pool in a month, no less. Here’s an inspiration if you have a green pond and want an inviting pool. The owner realised that filing it in was not an option, as the location beside the home was so attractive. So with a thorough clean, repairs to cracks, new water line tiles and 2 coats of Epotec in Bondi rolled on the end result is so appealing. We are very happy with it and have enclosed some photos to show you how we went. It is fantastic now and is used most nights to relax in. Fantastic product Epotec I must say and would recommend it in the future for sure!